It's that time again!! 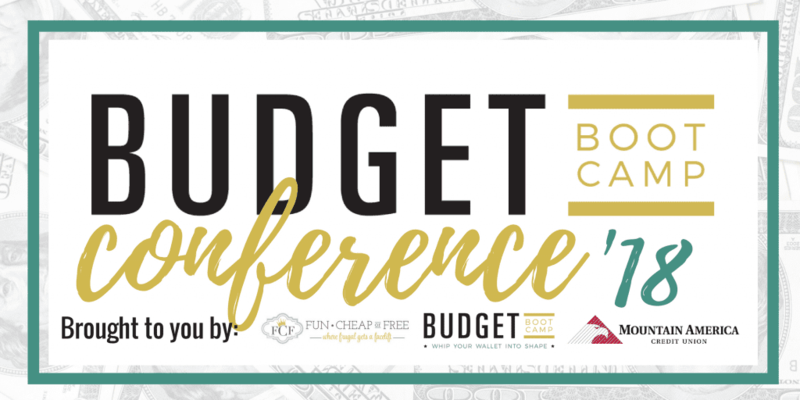 Many of you have been anxiously waiting for our 7th annual budgeting and frugal living conference tickets to go on sale…and the tickets are OFFICIALLY LIVE!! I will give you quick details here for those who are ready to register, or keep scrolling if you need more info, or a little more convincing. Wink wink. WHERE: Your own home! It's a virtual conference so all you need is internet access, and a screen. And snacks. Always. WHAT IF I WANT BUDGET BOOT CAMP PROGRAM WITHOUT THE CONFERENCE? No problem! Buy it on sale below, and simply don't register for the conference! WHAT IF I ALREADY OWN THE BUDGET BOOT CAMP PROGRAM? Great! You don't need to attend the conference, then; it will basically be repeat information. But hey, maybe a refresh would be helpful? Your call! Check your email for how to get access to the conference, we will be sending one out today. WHAT IF I CAN'T MAKE IT LIVE? No problem, you can still register (be sure to register by the 19th!) and you can watch the replay for 2 weeks after the conference. 1- BUY my super fun budgeting program BudgetBootCamp.com, on sale RIGHT NOW for only $114 (reg $149! Sale ends 1/19) using the code JAN18, and get a conference ticket for you for FREE! You will get an email with a link to access the conference. Sale has ended, use the code FCFBLOG and you can get 10% off Purchase HERE. Want to watch the replay of the conference? You can still get access to the replay for $39.99. Register here for the replay! NOTE: Your program access and/or ticket is good for you + your spouse or committed partner. Sharing the conference or your conference access with others is strictly prohibited, and doing so will force us to revoke access to the conference AND your BBC program without refund. Thanks for understanding! WHY DO YOU NEED THIS CONFERENCE? If that sounds like you, then you'd be CRAZY not to attend #BBCConf 2018! BBC'18 Conf is my 7th annual (wow, I sound old!) 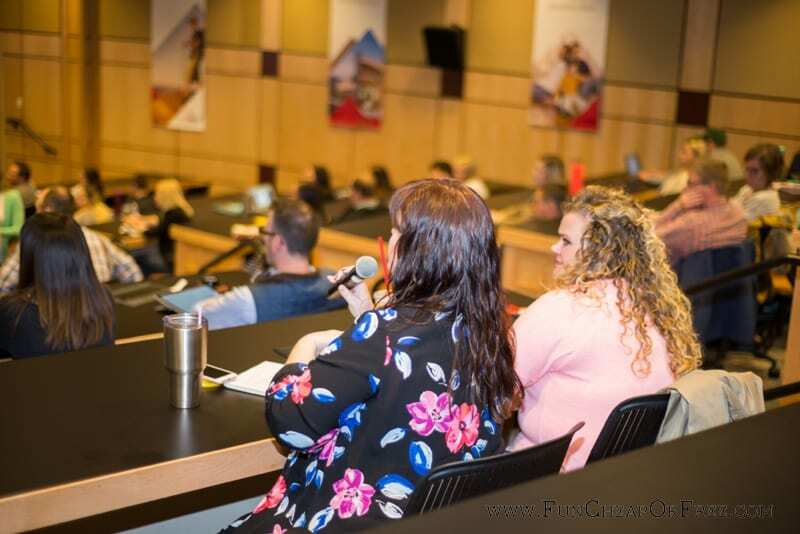 conference where my husband Bubba and I teach you my best fundamental money principles in fun, engaging ways, and you also get me AND Bubba to your disposal for several hours to ask as many questions as you can think of. 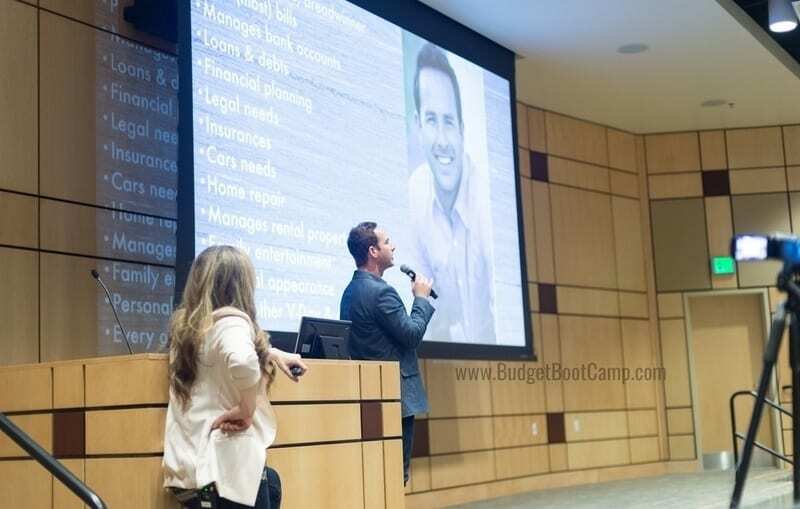 Buy Budget Boot Camp program < HERE > and use the code JAN18 and get FREE conference access! Sale ends 1/19. You can still save 10% by using the code FCFBLOG. It's a completely online, virtual conference! It will be powered through a webinar software so you can tune in live. You can use the chat feature and ask questions, see our slide presentations, and watch Bubba and I as we broadcast live! It's like all our other conferences, but there's a screen between you and us, so we won't be able to see your face in person. Otherwise, it will operate just the same! January 20, 2018 from 12pm – 4pm MST (11-3 PST, 2-6pm EST). Your own home! This is a completely VIRTUAL conference! All you need is internet access, and a screen. Once you have registered, we will email you the access link 30 minutes before the conference begins. WHAT DO I NEED TO PARTICIPATE IN THE CONFERENCE? As mentioned above, all you really need is internet and a screen. Additionally we recommend grab a snack and drink, something to take notes, maybe some headphones so you can really “plug in” and focus, and a willingness and excitement to conquer your finances this year! Because we could all use a little help with our finances and budgeting, especially this time of year. Because it's fun! Because it's easier than you think. AND, for those who are on the fence with wanting to buy my Budget Boot Camp online program, it's a good “try before you buy” option because I will be teaching some of the principles from that program. I'M SINGLE? Great! Come party with us! We've had lots of singles and the principles are very adaptable, and have worked for them too! I HAVE KIDS AT HOME? Hey, we do too! I recommend sending them to a friends' house or grabbing a babysitter to supervise then so you can really focus and not miss anything. But we know how life is, and if you need to attend to your kids and come back to the conference, that's ok! You will be able to watch the conference on replay as many times as you need. I'M DEBT FREE…WILL IT BE GOOD FOR ME TOO? Absolutely! We do talk about debt, but there's so much we cover in addition! I CAN'T WATCH LIVE? No problem, you can still register (be sure to register by the 19th!) and you can watch the replay for 2 weeks after the conference. WHAT IF I ALREADY OWN THE BUDGET BOOT CAMP PROGRAM? You probably don't need to attend the conference. It will basically be repeat information. But hey, maybe a refresh would be helpful? Your call! Check your email for how to get access to the conference, we will be sending one out today. I WANT THE PROGRAM, BUT NOT THE CONFERENCE? No biggie! Just get Budget Boot Camp program HERE and use the code JAN18 to get it for $35 off, only until 1/19! Have any other questions? Email alisha@funcheaporfree.com and we will answer them for you. Excited to “see” you soon! Are there any tools with BBC? Like budget spreadsheets or anything like that? If I purchase the conference for $49.99, then want to purchase the BBC after, can I get the conference purchase price deducted from the BBC price? Yes, we will take care of you! If I purchase the conference, which you said has mostly content that is also in BBC, and then I purchase BBC after…can I then get the cost of conference put towards cost of BBC? Yes we will take care of you! Last weekend, I purchased the Budget Boot camp program, with the Jan18 sale and conference ticket included, but never received the email access instructions. 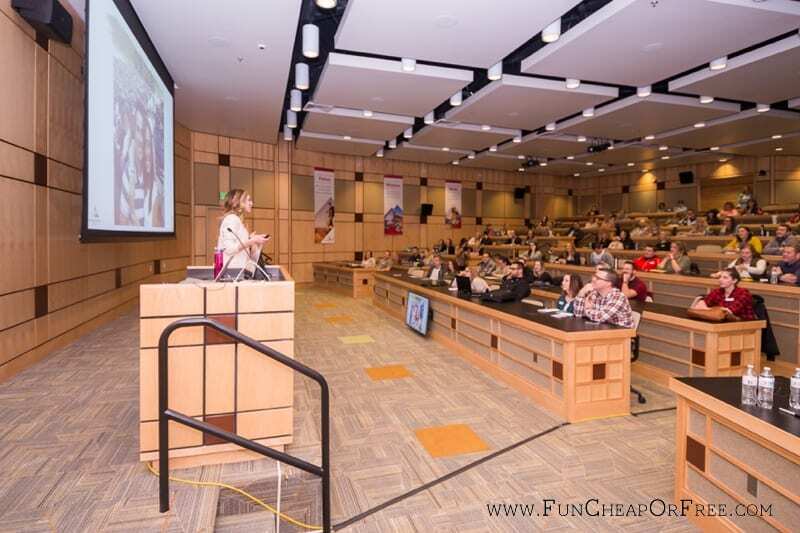 I’m so bummed – I even paid for a sitter to take the kids during the conference, just as your website suggests. Can I get a refund or access to the conference and BBC within the next 15 minutes? I can provide you with my Paypal Receipt, if needed. As per the website information, the best way to get ahold of us is to contact customer service at contact@budgetbootcamp.com. These blog comments aren’t checked very often so email us there and you will be properly attended to. Thanks Megan! I hope to be able to purchase this at some point, and learn from your examples! Would love to do budget boot camp!!! It is so helpful that our family size is similar, we have 6 kids but 1 has moved out. I wish I could have been there!! I should have bought the program! I’m kicking myself for not! Would love to see this program in action with my finances & make some positive changes towards becoming debt free! Can’t wait!! Thanks Jordan for sharing BBC with us! I hadn’t heard of you before this conference, but it looks like I’ll habe to catch the recap. It sounds like it would be very worthwhile. I’ve always been curious about your BBC. BBC is on my to do list! I need to get it crossed off sooner than later! Want it more! My husband and I are pretty good at budgeting but we learned a few things! We already knew about the 70% rule but it was great to hear how y’all break it down! I loved learning other tips about the bank accounts and which ones you use! Love to know more about how you save for each of your children’s college, weddings, missions! I feel like I’m pretty good st budgeting! But my husband…doesn’t really get it. Would this be helpful? Are there plans for a 2019 conference?